Last week I joined a bunch of friends to ski Montgomery Pass, a backcountry spot up near Cameron Pass. It was without a doubt the best snow I’ve ever seen in the backcountry. 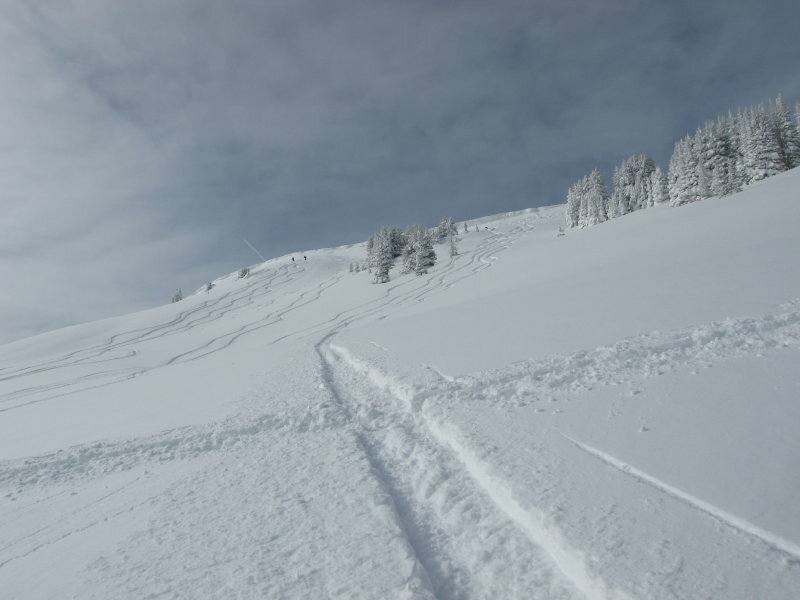 Untracked waist deep powder all day. Every turn I took sprayed powder snow up into my face. I did two runs on the main slope, shown below. We then moved to a second slope, called “Mr. Big”. This was a longer slope, but the snow wasn’t as good, so after two runs I moved back to the main slope for two final runs. I have never been more tired as I skiied down the hiking trail back to our cars. 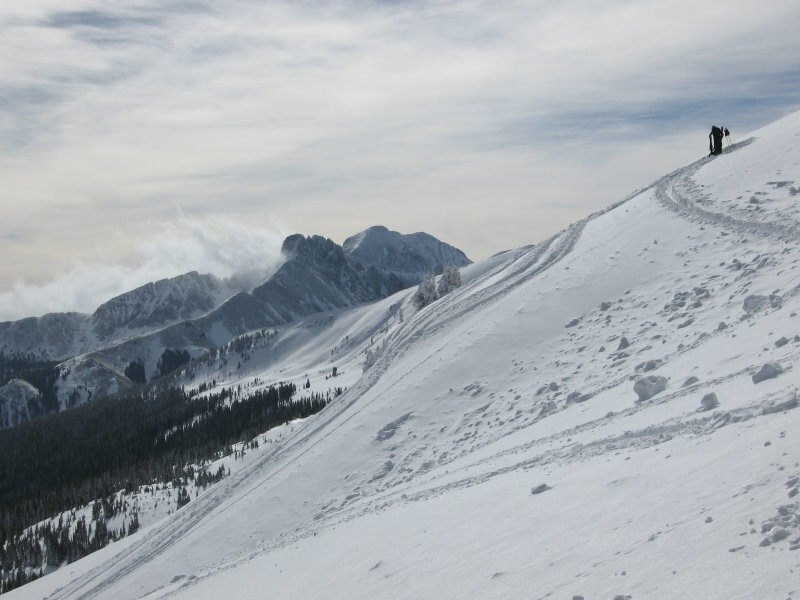 Thankfully, conditions were good, and it was possible to slow down in the powder alongside the trail. My friend Dean took some footage with his digital camera. By 10:30 the next morning he had built a ski movie on his Mac and posted it to the web. He did a really good job- definitely did more to sell the Mac than any Apple advertisement I’ve ever seen.